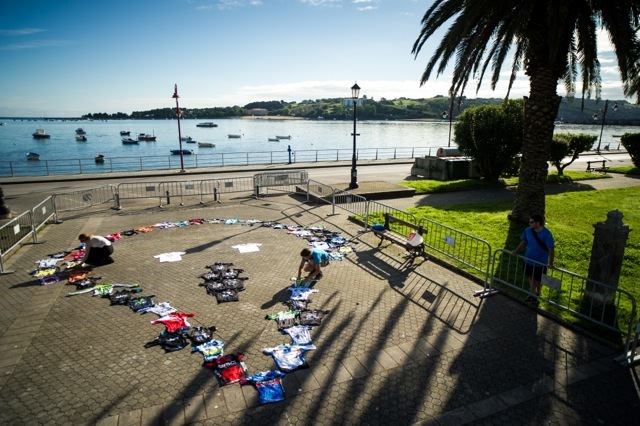 All the pro-teams of La Vuelta a España, ASO, Norwegian artist Lise Wulff and the Grand Tours Project took part in the global eco art campaign The Scream from Nature on the last days of La Vuelta a España. 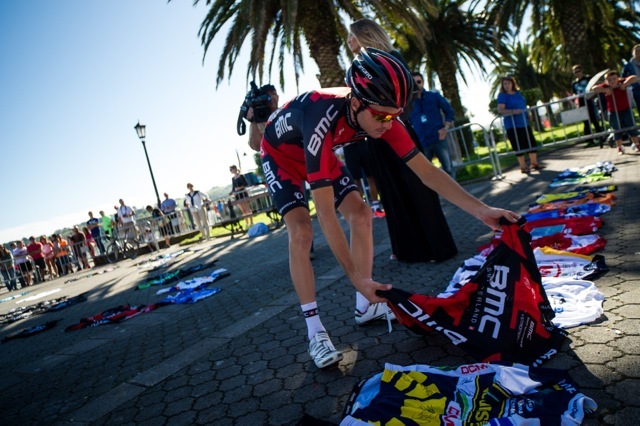 Day 19, the riders participated in making their own Scream from Nature, with signed team jerseys. 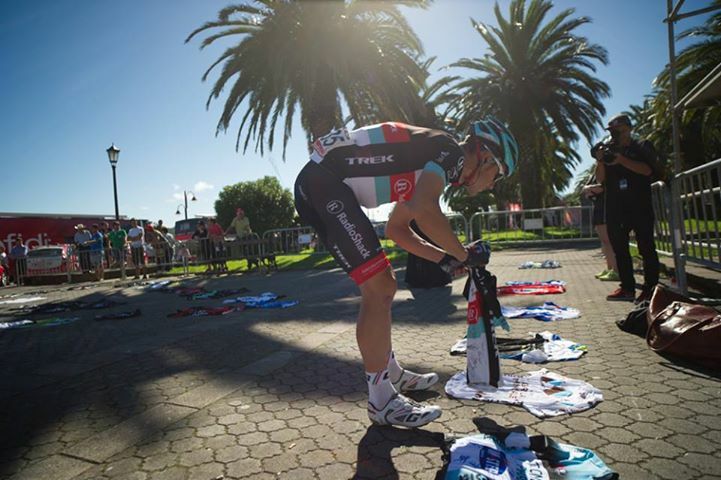 See what happened at stage 20 and stage 21, as well! Grand Tours Project is a bike ride for sustainability. 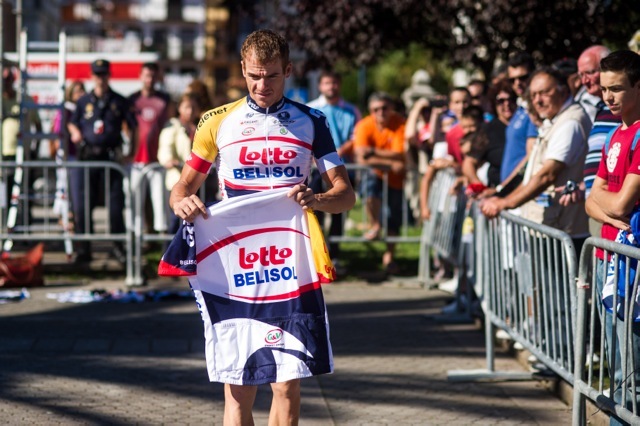 In 2013, Keith Tuffley rode every stage, and every kilometre of the three Grand Tours (Giro d’Italia, Tour de France and Vuelta a España), the same day as the professional riders. 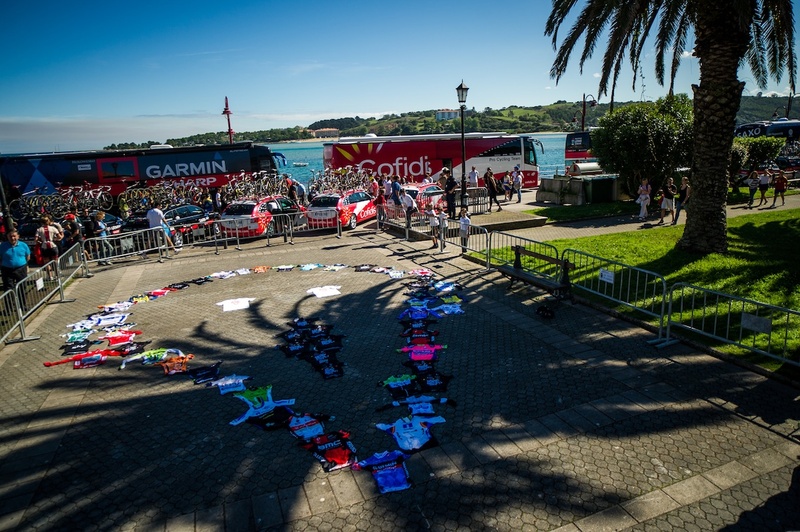 It was not just a personal challenge, but also a journey to share the spectacle of the Grand Tours and promote the cause of environmental sustainability through various initiatives along the route. 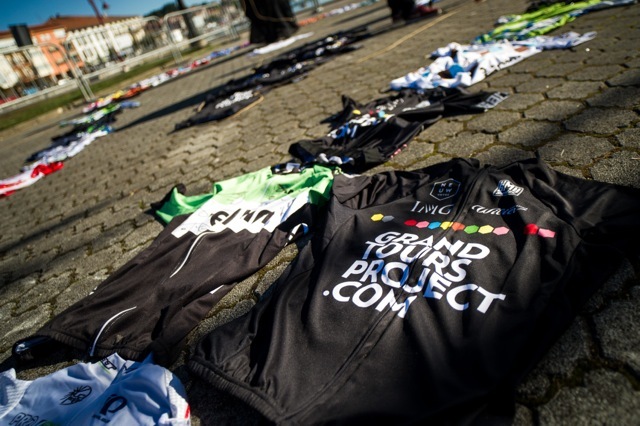 All photos by Alex Holm / Grand Tours Project.